Can you believe that Halloween is on Monday???? Seriously! Why isn't Halloween on the last Saturday of October like other holidays are designated? It's Meghan from Keeping Up with Mrs. Harris and while I can't change when Halloween hits, I can make Monday a little less stressful for you! 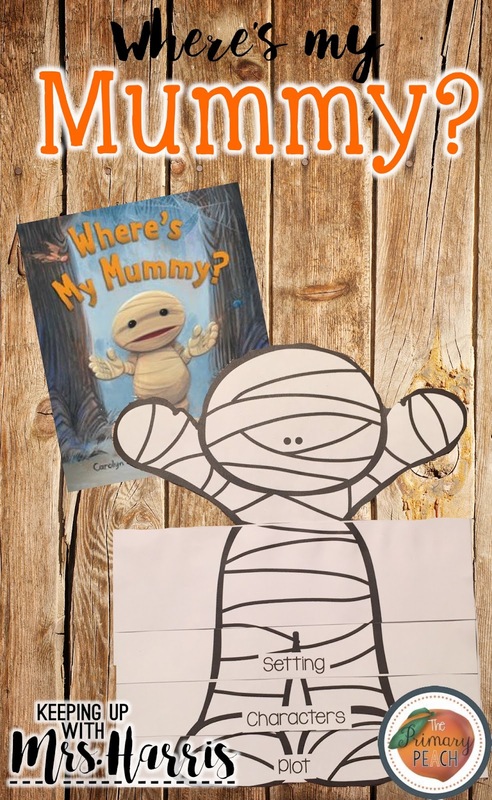 I have a freebie today that goes perfectly with the book Where's My Mummy that I think you and your students will enjoy making! Click here to download! Happy Halloween! จีคลับ Gambling sites that engage in gambling all the time. There are gambling games that you will like to play yourself at all times. Enjoy all the fun to play most easily. Games at all ages to bet on. There are gambling games that anyone can choose. Get the good stuff. Can be easily played due to the variety of games. Everyday Betting Gambling at every selection every day. In addition, it is interesting to the aura of seven colors indicate the relationship of the body, such as red, sexual organs, uterus, ovaries, prostate, orange, abdomen, intestines, are found in the yellow orange carrot on the chest. Heart found in green mango banana on stomach Found in common fruit blue color on the face found in the pea.